They are alive! Or at least one is. It's raining outside so I can't release it/them yet. I have my big box of Knox Cellars Mason Bee Tubes set outside and I want to make sure it's the first thing they see. 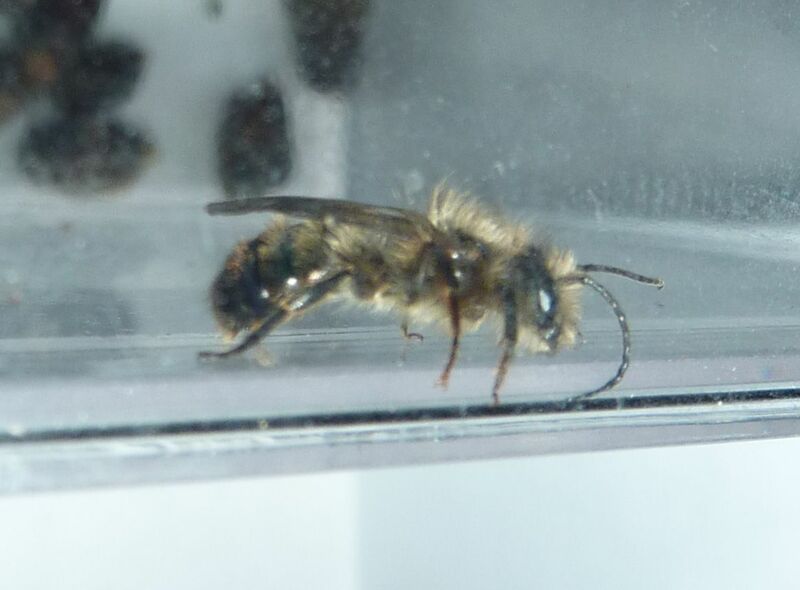 An issue though is the things I want them to pollinate aren't flowering yet, but I'm sure that will change over the course of this bee's 4 to 6 week lifespan. 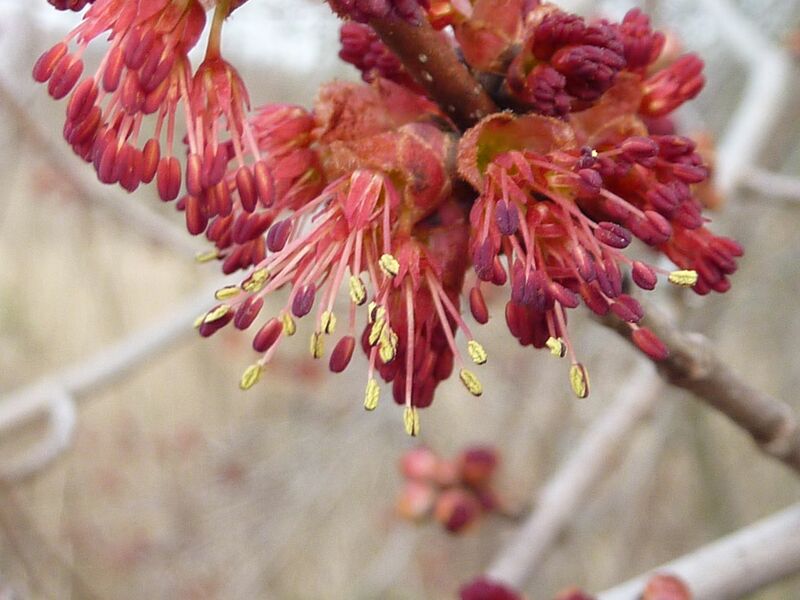 Maple trees are the most abundant plant blooming now. 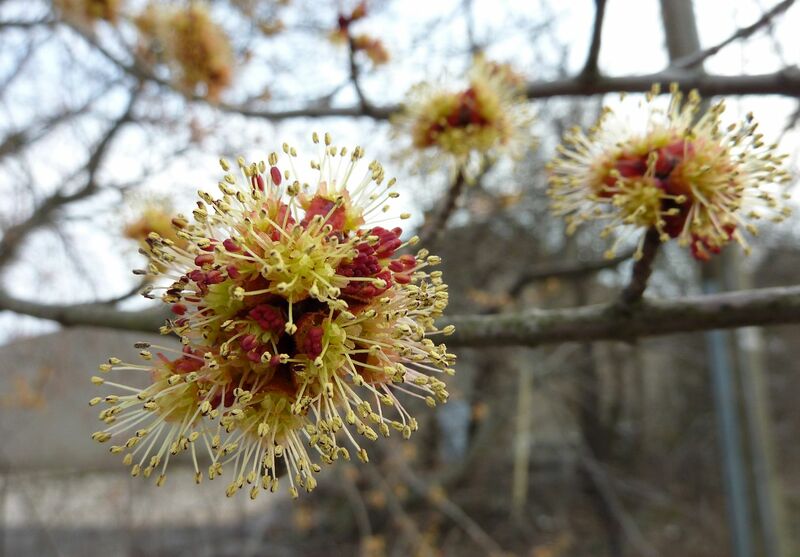 What's odd is people always sound surprised to learn that "Maple trees bloom?" It's as if no one realizes what those puffy things covering the branches are, and two weeks later, what that stuff is they're cleaning off their car. There are a few species of maple tree out there. And I don't know how to tell one from the other. I would assume the Red Maple though has the all red flower. If anyone can explain it in so many words please feel free to comment. Thank you.